As drought becomes increasingly common, farmers worldwide are struggling to maintain crop yields. In the United States, farmers are experiencing the most severe drought in more than a half-century. As a result, global corn, wheat, and soybean prices rose in July and August, and remain high. But the severe dry spell parching croplands across the United States is only the latest in a global cycle of increasingly frequent and damaging droughts. In the Sahel, millions of people are facing hunger for the third time since 2005. Lack of rain in the region and volatile food prices globally have made a bad situation worse. And indeed, it is the world’s poor – particularly those in rural areas – that suffer the most from these combined factors. This does not bode well for our future. By 2050, global food production will have to increase by 60% to meet demand from a growing world population with changing consumption habits. To ensure food security for all, we will have to increase not just food production, but also availability, especially for those living in developing countries. That means breaking down barriers and inequalities, building capacity and disseminating knowledge. 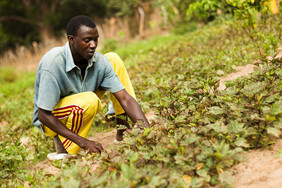 In Africa, smallholder farmers – who provide 80% of the sub-Saharan region’s food – need infrastructure for agricultural development, including irrigation and roads, as well as better market organization and access to technology. IFAD sees enormous potential in Africa’s agricultural sector, which experienced 4.8% growth in 2009, compared to 3.8% in the Asia-Pacific region and only 1.4% in Latin America and the Caribbean. Given that agriculture amounts to roughly 30% of sub-Saharan Africa’s GDP, and accounts for more than 60% of employment in most African countries, the sector’s development could reduce poverty in the region substantially. Not only in Africa – in countries like Burkina Faso and Ethiopia – but also in emerging countries like China, India, and Vietnam, experience has repeatedly shown that smallholder farmers can lead agricultural growth and stimulate broader economic development. Small farmers, both women and men, are Africa’s biggest agricultural investors. And agriculture-driven GDP growth is more than twice as effective in reducing poverty as growth in other sectors. But African farmers encounter significant barriers to achieving their potential. On average, they apply less than 10 kilograms of fertilizer per hectare, compared to 140 kilograms in India. 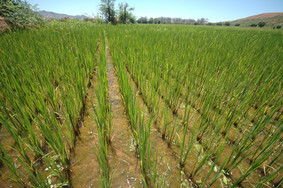 Furthermore, less than 5% of agricultural land is irrigated, and improved crop varieties are rarely used. Agricultural development efforts should, therefore, focus on promoting the growth and sustainability of smallholder farmers and small rural businesses. This requires a more supportive regulatory environment, technical assistance, and connections to suppliers, distributors, and finance providers. Countries that are experiencing significant agricultural growth, such as Brazil and Thailand, have benefited from public-sector investment in research and infrastructure development. We should consider not only how to improve the ability of smallholder farmers to grow food, we also must strengthen their ability to participate in markets, while improving the way those markets function. Moreover, there needs to be sustainable investment linkages between smallholder farmers and the private sector. By enabling farmers to increase their output and incomes, smallholder-inclusive private investment can bolster economic growth and food security. Farmers’ organizations, which are crucial intermediaries between producers and corporate investors, must be involved in planning agricultural development. A vibrant rural sector can generate demand for locally produced goods and services, thereby stimulating sustainable employment growth in agro-processing, services, and small-scale manufacturing. Such opportunities would allow young people to thrive in their rural communities, rather than being forced to search for work in urban areas. Africa can feed itself. But that is not all: With knowledge, technology, infrastructure, and enabling policies, smallholder farmers in Africa and elsewhere can drive sustainable agricultural development, contribute to global food security, and catalyze economic growth worldwide.